There’s also a haughty dismissal of MLS’s pride in its academies. “Leagues (emphasis mine) do not produce players, clubs and coaches produce players.” Then writer Jon Townsend goes on to extol the virtue of Germany’s federation-driven model. So leagues don’t produce players, but federations do? I don’t understand — is MLS commissioner Don Garber running the Sounders’ U16 training sessions? Tying single entity, not to mention the lack of pro/rel in MLS, to youth development doesn’t make a lot of sense. In practice, single entity as it currently exists in MLS is little more than a legal term. The last vestiges of the 1996 days of Sunil Gulati assigning players to teams are a salary restraint with a lot of loopholes and a cumbersome method of compensating teams with bargaining chips to ensure parity. Let’s see how the business structure makes MLS different. Given the fact that salaries are limited but academy spending is not, wouldn’t a club be more inclined to spend money on the academies to get a competitive edge? Youth development questions are tricky. England is now in, what, its third decade of hand-wringing over why it doesn’t produce any more Gazzas and Beckhams, much less any Charltons and Matthewses? You’re not going to solve them all at the league level. And you’re not going to get a Messi through sheer force of will and spending. 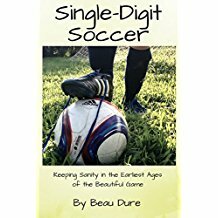 But neither does it help to sneer at the efforts — which previous first-division U.S. leagues did NOT make — to focus on youth development. Maybe we’ll at least get a few more Yedlins, Hamids and Najars. MLS offers plenty of ammunition for critics (get the CBA done before December, and just allow outright free agency, OK?). So does U.S. youth development (let’s have five national championships!). The intersection of the two, though is generally a good thing. And let’s not pretend the league structure has any more to do with youth development than the befuddling new MLS logo. After all, clubs and coaches develop players, not leagues. I agree w/ you in part, Beau, but want to offer a few counter-arguments. First, one of Townsend’s points is particularly salient: the best player development as always been more grassroots and right now MLS teams are still a long way from being involved in the development of most pro-US players. Zardes, for example, is a “homegrown player” for LA, but only in a “MLS made a rule change” kind of way. I think we’d agree that if a player like Zardes developed his talent from the age 13 on in a system that was set up by a guy like Bruce Arena, he would be a better player than he is now. And while Townsend ventures into Tinfoil Ted world with his “Orwellian control” crap, it in part stems back to the idea that MLSsoccer.com is raising this question. While they often do great work there, my brain always comes back to: yeah, but you work for the eff-ing league. Other people’s brains are more like Townsend and respond with: you work for the league, this is propaganda, not journalism. And that only feeds the supercontrol (sidenote: I love how SUM has taken on this galactic, imperial, and cabalistic nature for some people). So while I agree with your response on Townsend, I still think he has a point, which is: MLS still has a problem developing and nurturing young talent. The best way they do it is by taking close-to-finished products like Harrison Shipp and putting them in the first team (which is great), but that doesn’t work for all players. Actually players ARE produced at a league level in England. That’s why clubs like Southampton, Middlesbrough, Fulham, Sunderland, Everton and West Brok continue to churn out talent. Not quite sure what your point is but I don’t see how any of what is said in Jon’s article is hard to fathom. Perhaps you’re the sort of closed minded MLS fan that actually knows very little about producing young players. Governance is not what produces players – coaches do. And no, clubs are not inclined to spend MORE on academies because their first team spending is limited. Where in the successful football world is that any sort of caveat?! A club IS its first team. The brand is the first team. And success is judged on the first team. Very odd and slightly obsessive points made here. Your fixation seems to be with the writer rather than the article which negates every bit of validity in this poorly written feature. I have no fixation with Jon whatsover. By all accounts, he’s a great guy, and he’s not one of these people who shouts insults and payola accusations at anyone who defends anything the league does. Some truth to that, surely. Other countries have made remarkable progress in basketball, after all. And maybe that can console us that the USA hasn’t taken several steps backwards by failing to qualify for youth competitions (men AND women) in which we used to do relatively well. Surely we’re better off with our superserious development programs than we were when everyone played high school soccer and local U.S. Youth Soccer leagues, right? This is weird. If you don’t have a fixation with Jon (or his writing) why did you write a piece dedicated to calling him out? The thing is, none of what you wrote takes away from what Jon said. Pointing out the leagues don’t produce players, clubs and coaches do…is true. La Liga didn’t create Leo Messi (like Jon said). The troubling thing is while you try to condemn Jon’s piece it seems like you undermine your own stance. As people have said before, the MLS DAs aren’t producing players at the rate they should be. The DA system, as Jon rightly points out is limited still…and that’s fine but you tried to make this about pro/rel when the original article was about youth development. are the two connected, yes. Jon sneered at MLS and its arrogance with that video. It was atrocious. But its what MLS loyalists seem to defend. 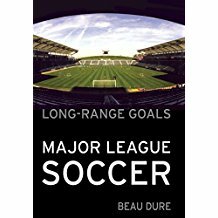 As someone who coaches and studies youth dev (like Jon) he’s criticizing a system that has used college players or players develop elsewhere to fill roster spots yet arrogantly parading around how much MLS does for their growth without giving due credit to coaches and clubs/colleges that actually groom these players. And I’ve been angry in the past when people have criticized my work and NOT named me or linked to it. Then readers don’t have a chance to see what I actually wrote, and I don’t have a chance to respond. So I thought it would be unfair to write a response *without* mentioning Jon. I’ll clarify a bit on leagues (or federations) not developing players — I agree with Jon that it’s coaches and clubs that develop players. I find it incongruous to laud Germany’s top-down approach while ridiculing the USA’s top-down approach. Also — I didn’t introduce pro/rel into the conversation. Unless I misinterpreted “closed league,” Jon did. I see where Jon is coming from on marketing with a little too much swagger. I think there are some mitigating factors, not the least of which is that the DA is still miles ahead of anything that’s been done in U.S. pro soccer in the past. And then I thought Jon erred in tossing in buzzwords like “single entity” that don’t really relate to the topic. I’m studying youth development, too, for a book called “Single-Digit Soccer.” I’m interested to see what else Jon has to say. And though I’m focusing on the earliest ages, I’ll have some criticisms of the DA as well. We have a lot of progress to make. I simply thought Jon’s piece steered things in the wrong direction. Today, I’m good friends with a few people whose first words to me were a lot meaner than that. Right, I get that Jon said, “single entity” and “closed league” both of which are true regarding MLS, are they not? Is it not a single entity? Is it not a closed league? Did you read Jons article published in the latest NSCAA Soccer Journal? His work is geared towards stuff that I haven’t seen Stateside as of yet, which makes him both innovative but also makes people rethink the practices of old here. The Germany example is a perfect one. The Federation required leagues, clubs, teams, coaches, etc. to get on board with a cohesive plan. The US Dev Academy is still just producing college players. Look at the numbers. Most go to colleges still. Is it more than what’s been done in the past? Sure…but if players still go to college before pros, is it really working? Time will tell. Secondly, Jon’s point about the our best players leaving MLS is true. Their prime years aren’t played here. I think youre looking at it through one lens and not to be misunderstood, jon seems to be looking at it as a writer, coach, former player…not that each way is better than the other. Your experience is one thing, and as an experienced journo you know getting personal with other writers is offputting…and yet you did it. You didn’t tag jon in the original twitter post, which is weak. Calling him out is one thing, but inform the guy. Do you coach? I ask bc it probably would give you more visibility into his views. Beau you seem like a decent guy but this seemed to piss off a lot of us who work with jon and at the grassroots level that MLS still ignores…even if you think/claim otherwise. 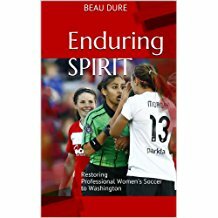 I’ve been coaching U6 through U11 for several years, I’ve covered soccer at every level — from Women’s World Cup and Olympics down to early Open Cup rounds and high schools — and I’m writing a book on Single-Digit Soccer. I’m about as grassroots as they get. And I get NSCAA Soccer Journal — I’ll look for his article. We’ve had a good conversation on Twitter today, and I’m interested in what he has to say. Beyond that, I don’t think you’ve actually raised a counterpoint to anything I’ve said. He introduces a lot of things like “single-entity closed league” and doesn’t support the case that such a structure has anything to do with whether or not the next Messi will pass through an MLS academy. I think it’s important to note that the best development has occurred when players/teams/clubs have a target on their back. Jons point about “single-entity closed league” is probably referring to that. we both know if jon writes a pro/rel article he loses the point of the video’s initial question. I can’t speak for him but that’s how i read it. the article was great in that he suggests MLS maybe produce a solid level of players before attempting the Messi player. marketing stuff like that video with paid MLS guys should be eviscerated. If anything jon created good conversations. if MLS can produce the guys who support messi maybe we can talk about a MLS producing its own messi. You’re filling in the gaps from “single-entity closed league” to youth soccer, but I don’t think I agree. Is Barcelona’s academy great because they fear relegation? Conversely, hasn’t D.C. United reaped the benefits of having a better academy than most MLS counterparts? I can see why people don’t like the video. Then again, didn’t it start a conversation as well? Barcelona’s academy is great because Barcelona has set a standard. It demands a good academy. Without it the team would struggle historically and currently. DCU’s academy doesn’t even come close to mirroring those abroad. MLS DAs (and other DAs) as jon points out (again…) start far too late. Being a single entity closed league means that MLS teams dont put forth the effort teams abroad facing pro/rel do. This matters so much. And whats the system in place to assess these MLS DAs? Is there a standard # of players they should be readying for first team soccer? Who assesses them? All im saying is your criticizing a phrase that’s accurately used by jon. And yes, the video started the discussion. Fair dues to him for having the backbone to write something like this. God knows US soccer journalism needs more of jons type of writing out there (or jon himself). 1. MLS teams don’t have incentive because of single entity. Not so. These are competitive people, and they know the product has to be good enough to make fans stay tuned to their games in the afternoons after watching EPL all morning. 2. MLS teams don’t have incentive because there’s no pro/rel. They have incentive to make the playoffs. And they have PLENTY of incentive to have strong academies because it’s a good way to get good U.S. (or Canadian) talent on the roster without taking chances in the draft. Barcelona isn’t motivated by a fear of relegation. Barcelona’s academy is better than D.C. United’s because it has a long history of being terrific. I’m sure Barcelona’s academy is better than Lille’s, too. That doesn’t tell us much. My point was that MLS clubs have academies at different levels — some better than others. Some clubs have made large investments, some haven’t — just as Barca have a reputation for building from within while Real Madrid have a rep for buying veterans. So again, the connection between “single-entity closed league” and the state of the academies just isn’t there. In some echo chambers, single entity and the lack of pro/rel are the sole reasons MLS teams aren’t at the same level as Chelsea and Bayern Munich. The reality is far more complex. We’re catching up, and we may be catching up for quite some time. Pro soccer in this country will always face competition for attention and athletes from the other major U.S. sports and the other major soccer leagues in the world, and we’re several generations behind. Good luck! Hard to find on U.S. Soccer’s site, though. Dude, do you really not see the fault in your logic? This statement you close with is exactly right. The problem is that in th US we have no 1st division clubs, only a league. Hence player development is crippled. Who plays in that league? I fall mostly on Beau’s side of this. “Developing” a player is a long term project that takes about 10 years. Of course MLS DAs are not churning out talent yet. They are only a few years old. Thus the reason Zardes and Yedlin are considered “home grown.” We really have to give it another 5-10 years before we look for decent crops of players to come through to first teams. It has nothing to do with how the league is set up and everything to do with what sort of coaching and playing environments the player is in from a young age. Yeah. that’s the point jon made. before DAs MLS used imported talent and colleges. in fact it still does, Landon. that’s what the point jon made was. How many more generations of players should be cast aside? I think the point about the demosphere is huge too. Yedlin and Zardes went to college. Yes lets give it another 5-10 years…we need to but it has a lot to do with how the league is set up. if a club is not at risk of being relegated, not made to compensate a non-MLS DA or even another club that happens to produce a player, and has little to no domestic competition driving it forward….youth development is compromised. So yes, being a closed league and being single entity means something. Players cant make decisions on their futures. clubs dont control player contracts. MLS decides to let a blind draw dictate a man’s professional future….the list goes on and one. Gavin – I still disagree strongly about any correlation between the set up of a league and the success of the academies in that league. You say that there are no incentives for producing players in MLS. There is in fact huge incentive since there are major salary cap hit implications for players who are home grown vs. not home grown. On the other hand, I could see how a team threatened with relegation would actually not be able to afford the patience to rely of players produced in house because they would not have the time to wait for them to develop. They would be more inclined to rely on experienced players who could keep them up. They might desire to produce players in order to sell them, but I would hardly call it a good system when the clubs who put a premium on developing players do so in order to sell them because they know that the very system will not allow them to keep them (look at poor Southampton). On the other hand, a team like New England can take some lumps playing young developing talent without the fear of being relegated. Mr. Townsend says that “MLS has and will continue to benefit from the external development of its players.” So? Most other leagues do the exact same. However, this does not mean that MLS is not producing talent from late “bloomers” like Zusi and Besler (and Dempsey) all the way down to teenagers like Gil and Fagundez. The trend has seen more and more young stars in league who began their careers in MLS. Compare the number of good young players now to when the MLS DAs first started, and now we have a little bit of perspective. And that is the other point — the time is not right to be judging these academies. They have only just started with the infrastructure that they need in terms of facilities, coaches, community roots, etc. A look at Philadelphia’s academy shows an organization that is taking player development VERY seriously. Do some research on what the Union is doing and then tell me that their development system is not up to par with at least the top 10% of European academies. (Yes, I have studied and been to European academies, the vast majority of which do not even own their own facilities or pay a decent salary to even the director much less their coaches). Other MLS academies will follow suit, but to expect 10 or 20 world class academies to pop up over night and producing players within a couple of years is not realistic. The process is a very long one. In a kind of round about way, Mr. Townsend tries to make a point about Brek Shea’s struggles at Stoke — that they come down to cultural differences. Differences that the author implies could have been remedied with a better youth experience. To that, I will say that academies don’t create cultures; rather cultures create academies. Which is to say that it is silly to demean MLS in its early days for not being completely devoted to developing players. They were trying to create a culture that would actually give players a chance to develop. That chance is secure now, but it would have been misguided to spend significant money and resources on player development when there is no healthy league for those players to play in. We can look at the emphasis on player development as a major factor in the MLS 1.0, 2.0., 3.0, … progressions. Finally, in my opinion, Mr. Townsend completely misses the mark on the popularity of the game in the US. For him to not recognize a major jump in MLS as a product over the course of the last several years suggests that he has not been paying attention to the league. For him to not see promise in the direction that the league is going — both in terms of first team product and in terms of youth development — seems to be ignoring a lot of promising signs. That does not mean that there is not a long way to go, but speaking relatively, the US player development systems are producing talent that far surpasses what it has historically produced. Good points, Landon — several things I hadn’t considered there. I’m a little confused over the references to the Academy’s “demosphere.” We all know that’s just a company that produces sites to help soccer leagues track scores, standings and registrations, right?